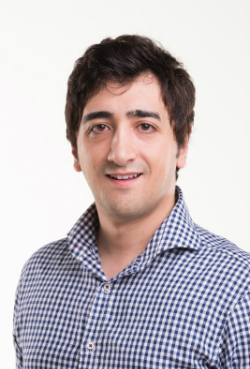 Dr Soroush Salimi graduated from the University of Western Australia in 2008 and has been working in private practice ever since. He is an experienced dentist who strives to provide the best possible treatment for his patients. He specialises in the placement of white fillings, teeth straightening using Invisalign, crowns and bridges, ceramic inlays and onlays, cosmetic dentistry, extraction of teeth (including wisdom teeth), root canal treatment, as well as very gentle but thorough cleans. Soroush believes the most important aspects of dental treatment to be high quality dental care as well as the comfort of his patients during dental treatment. He is well aware that coming to the dentist may cause some anxiety, but is always keen to make the experience as pain free and as enjoyable as possible. He takes the time to explain procedures to patients so they understand why they are having it done and provides different treatment options to suit a patients financial situation. Soroush regularly attends courses and seminars to keep up to date with the latest in the dental field and incorporates this in everyday dental practice. Dr Salimi has recently completed his implant surgical training which means we can now place dental implants to replace single or multiple missing teeth at Dentists@Burswood. This is part of our ongoing commitment to providing high quality care for our loyal patients. He works on Mondays, Thursdays(including late night Thursday), Friday and every Saturday. Contact us today and schedule an appointment with Dr Soroush.